This bicycle does not exist any longer (2012). I bought this bike end of june 2005 for little money – originally as a temporary solution for the time, where i built my “main bicycle”. 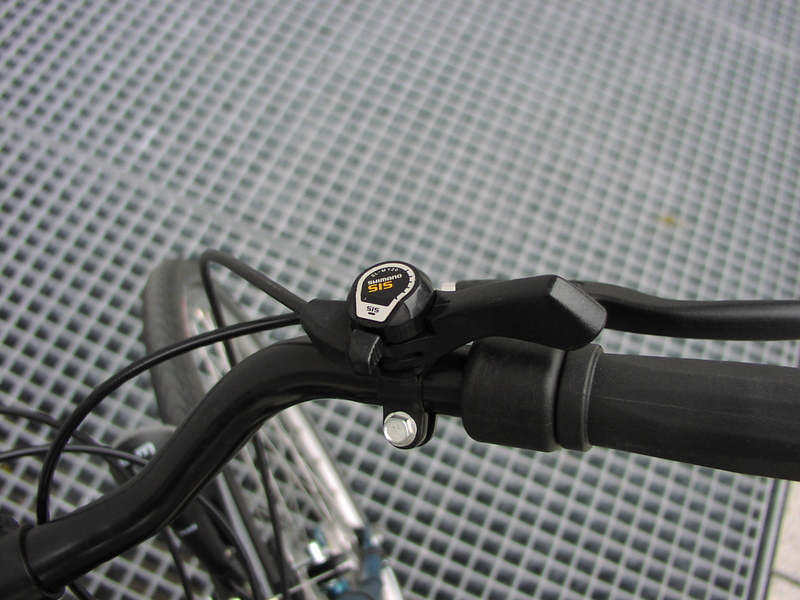 The quality is not very high (Shimano 18-speed SIS, cheap plastic brake levers, fork with squeezed tube ends etc.) and it is impossible to drive without a hand on the handle bar. Besides this it works reasonable well and after a few adjustments of gearshifting, brakes and bearings it was quite useable. 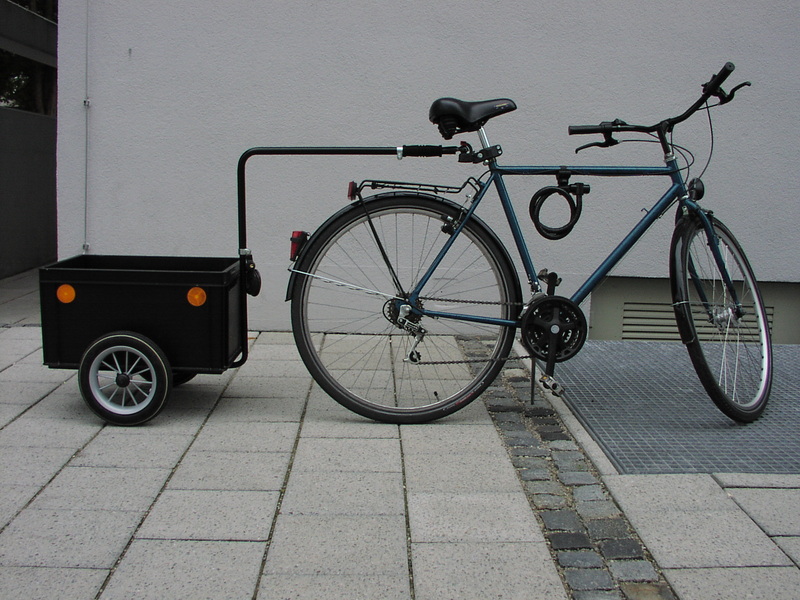 Since I could not mount the hitch for the trailer on the new bicycle properly, I decided to refurbish this bicycle a bit and use it for transportation and guests. 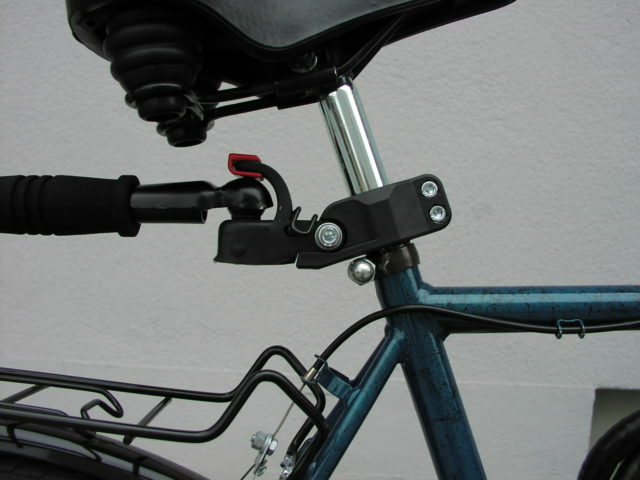 So the “spare front wheel” with the Shimano hub dynamo with a matching headlamp went there, the rattly plastic pedals where replaced by more solid light alloy pedals and the trailer hitch was mounted on the seat post using an adaptor. The original tires were not in the best condition as well and were replaced by the Marathon Plus 40-622, since i mounted a bit lighter “regular” Marathon 37-722 on the “main bicycle”. My brother used this bicycle for daily use for a while and in the meantime I also found a solution to mount the hitch on my “main bicycle”. 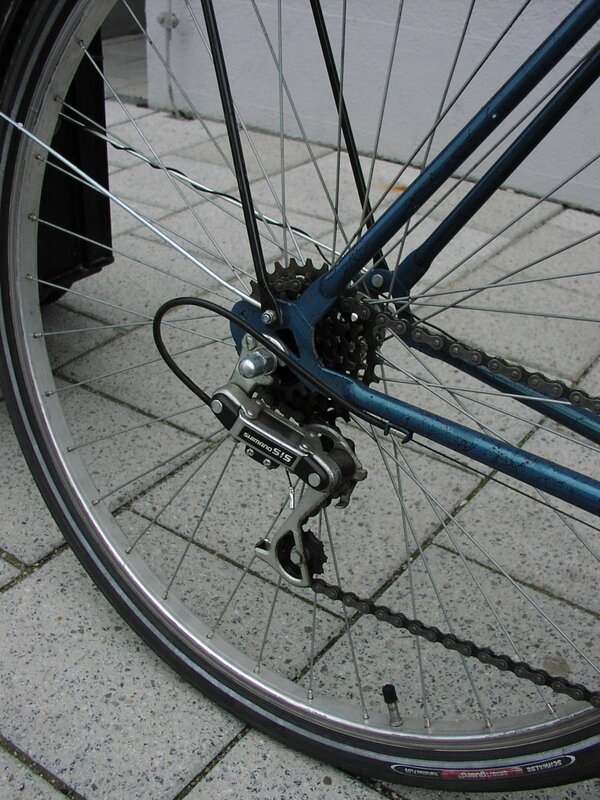 In the beginning of 2007 the rear wheel had to be replaced, since some of the spokes were broken and facing the worn out hub repairing the wheel wasn’t worthwhile.